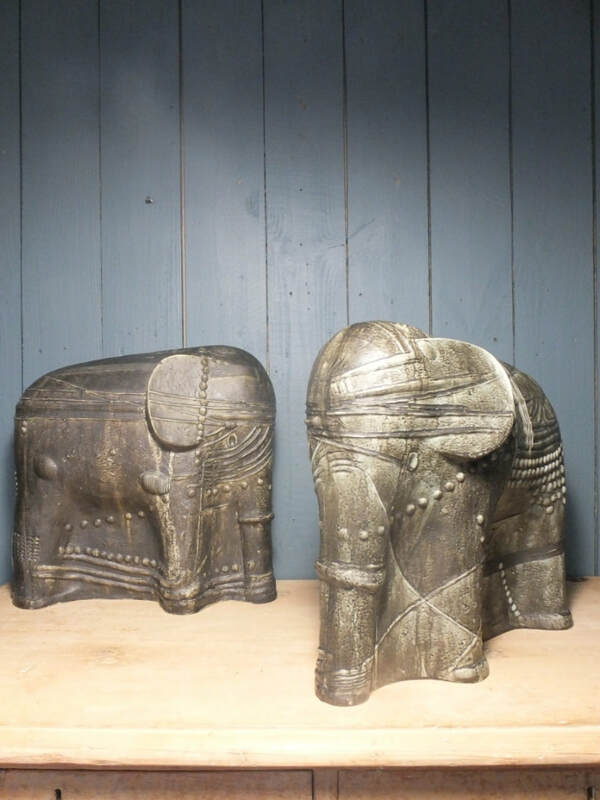 Two large ceramic sculptures designed by Vallien for Rorstrand of Sweden. 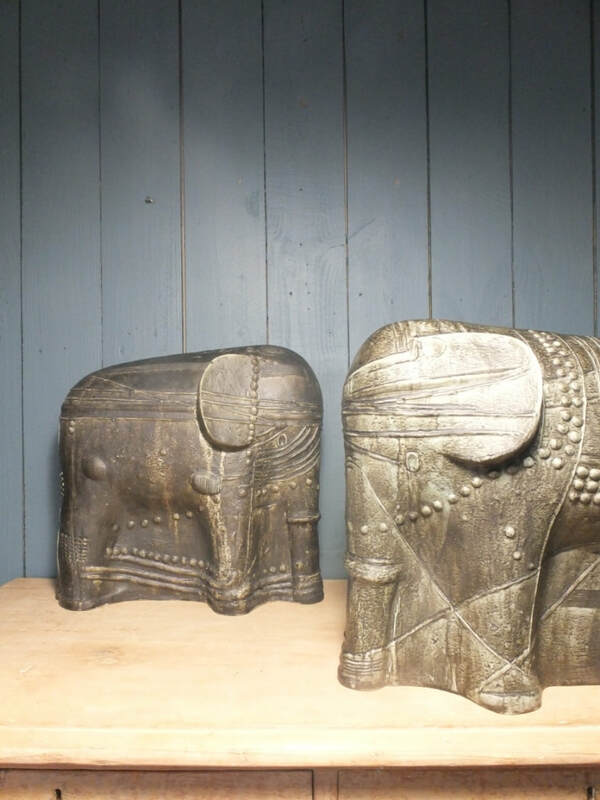 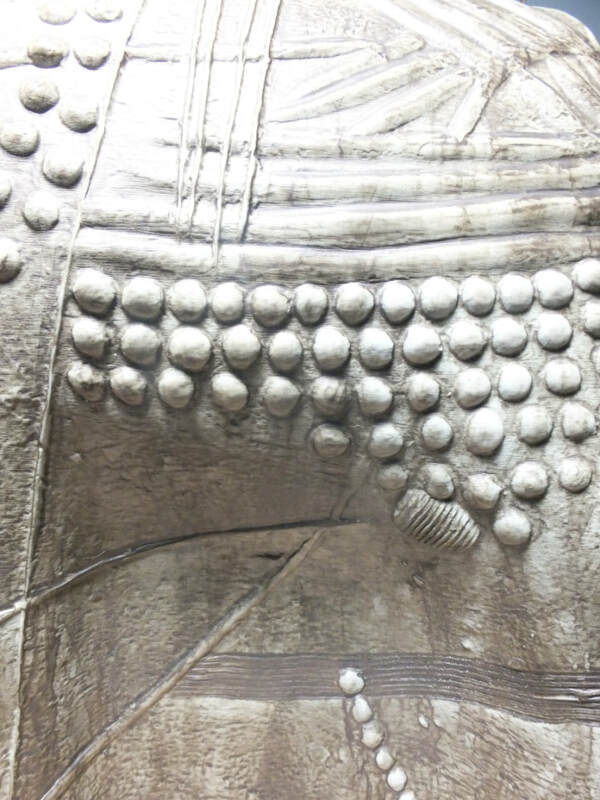 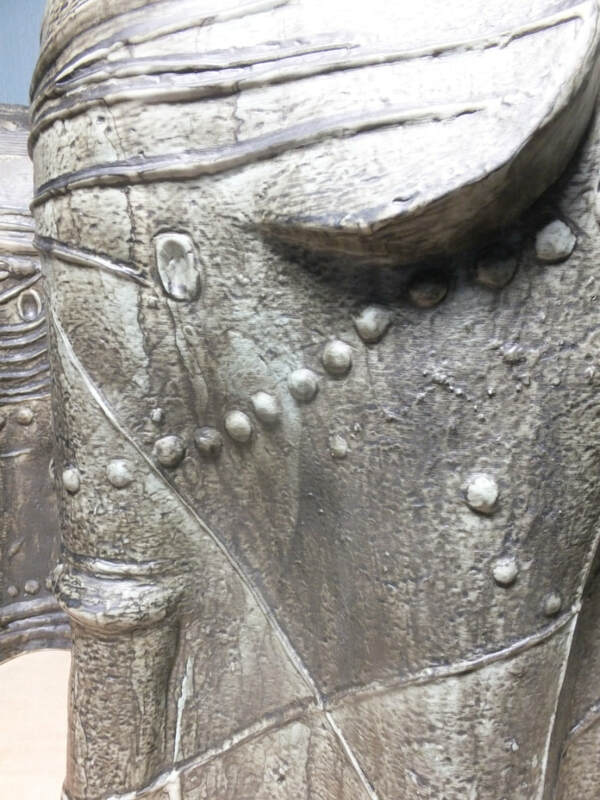 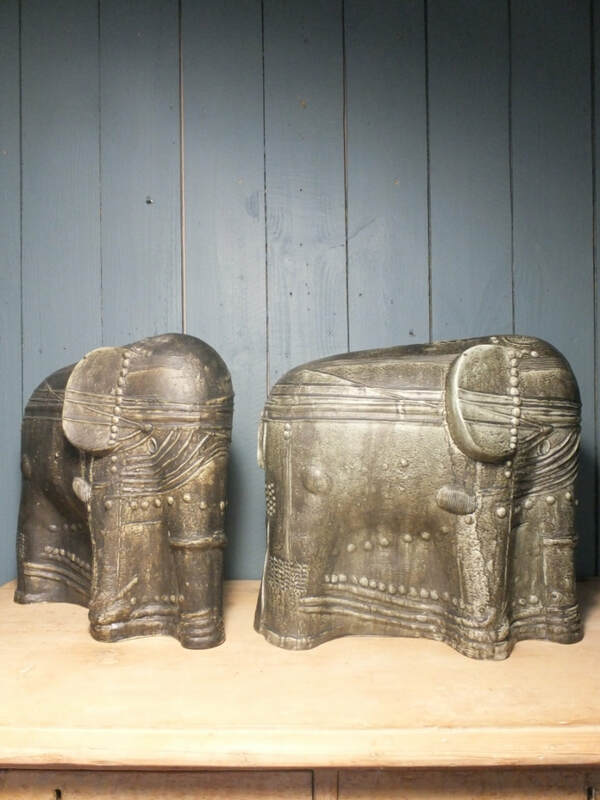 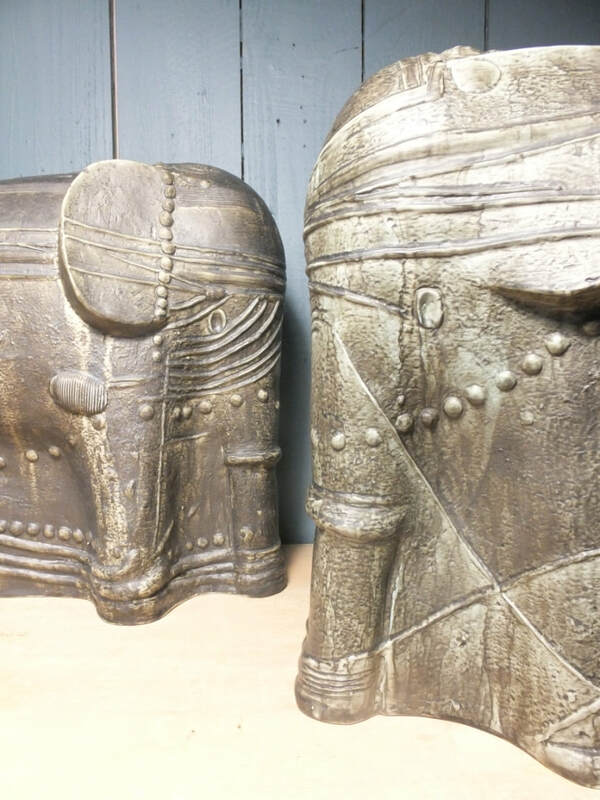 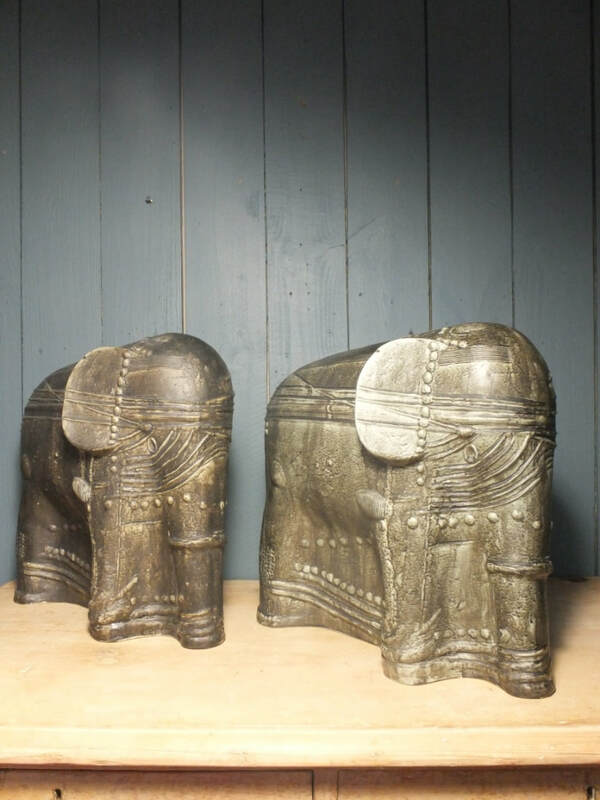 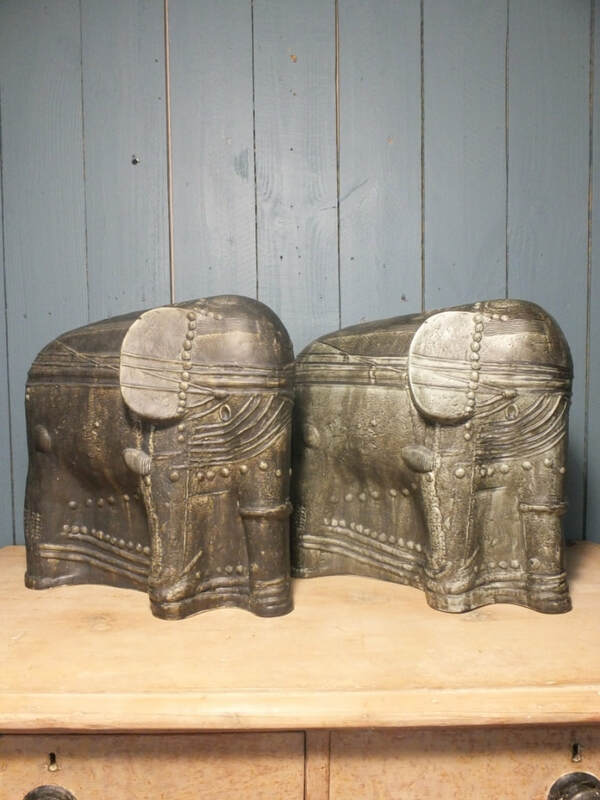 The monumental elephant form appears wrapped or swathed in jewel encrusted fabrics and glazed in a matt green graphite gray wash. Of the three sizes originally produced these are the largest. 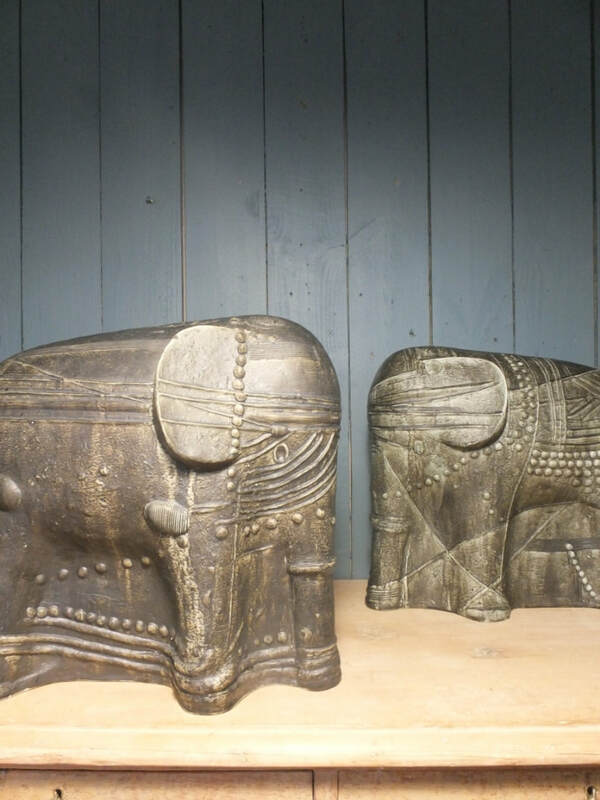 41 cm high, 44 cm long, 18 cm wide.